Breakfast is often considered the most important meals of the day. You want to start your day off on the right foot with plenty of protein, fiber, heart-healthy fats, and antioxidants. Omelettes are a quick and delicious way to get in that protein and those veggies for busy people without a lot of time that are on the run. Feel free to use different types of milk or egg whites, swap in or out veggies, even add some Chia seeds for extra nutrition. 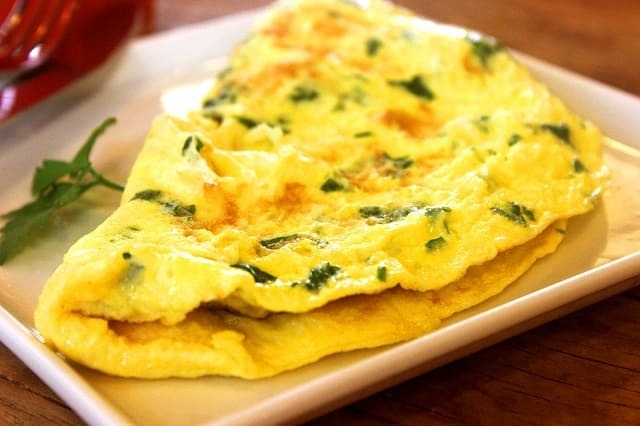 Enjoy this very delicious vegetable omelette recipe that rocks! Beat eggs or egg whites with milk, garlic salt, and ground flaxseed. Add to pan and heat until omelette becomes more firm. Add veggies and reduced fat cheese. Fold them flip the omelet and continue cooking until desired level of cooking. Enjoy the fantastic frugal feast before you're on the move for another busy day! I hope you enjoyed this free healthy recipe for very delicious vegetable omelettes on a tight budget.